In many ways, Audrey Davis defined the meaning of devoted wife, dedicated mother, loyal friend and a woman devout in her faith. A true blessing, her generous spirit, giving nature and warmhearted ways was an inspiration and gift to those who loved and cared for her. With ways all her own, Audrey carried herself with grace and expelled warmth to all. Her life was enriched in countless ways and she considered herself blessed. Although she will be deeply missed, gone yet never to be forgotten are the numerous memories she leaves behind. Audrey’s story began during a time of economic prosperity as industry and the need for consumer goods rose. While jazz dominated the music sector, men in their pan hats strolled along with swank and swagger and were quite a match for the belles of the infamous Roaring Twenties, the flapper. At the same time, Ellis Island closed its doors as an immigration entry point, leaving behind countless memories of promises for better tomorrows. This was especially true for William and Theresa (Van Overen) Wanrooy when on March 16, 1924 they were elated to announce the birth of their little girl, Audrey Ann. 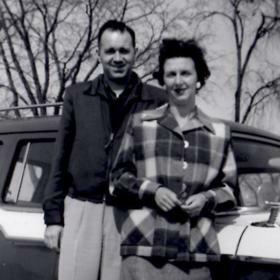 Born and raised in Grand Rapids, Michigan, Audrey grew up on the city’s northwest side on Tamarack Street alongside her siblings, William and Verna. Times were especially difficult the world over as the Great Depression cast a shadow of economic hardship for all, and Audrey’s family was no exception. Even so, Audrey experienced a childhood typical of her generation. An outgoing girl, she enjoyed the friendships of many and loads of great times were spent at Richmond Park near her home which offered fun-filled times ice skating and sledding. Audrey attended Harrison Park grade school before graduating from Union High School. Following high school, Audrey landed a job working at Michigan Bell Telephone. Quite a friendly gal, she easily made friends there and for years after she and her friends from Michigan Bell got together for lunch now and then. Yet life as Audrey knew it forever changed when she met William “Bill” Davis. The two were smitten from the start and dated for a while before Bill left to serve with the U.S. Army during World War II. Stationed overseas, they corresponded and before long a deep, abiding love between them blossomed. Bill returned home after his honorable discharge from the service to Audrey’s awaiting arms and on February 9, 1946 they were happily married before a congregation of family and friends at Klise Memorial Chapel of East Congregational Church. Audrey and Bill made their first home together in a little apartment above his parent’s house on Straight Street. 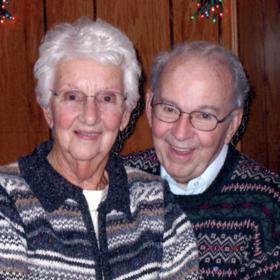 Eventually blessed with the births of two children, Cheryl came along in 1949 and Rick completed their family in 1951. Through the years they made lasting memories at their home on Sixth Street NW before moving to a home on Sierra NW. 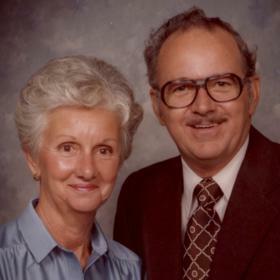 They each enjoyed Sunday breakfasts together and having raised their children in faith, they attended church faithfully at Wallin where Audrey selflessly gave of her time and talents. Family vacations were often spent at their cottage on Little Whitefish Lake taking in all the area had to offer. They did so when their family was growing up and later as adults for a span of nearly 53 years. Audrey liked taking rides around the lake on their pontoon boat. She also liked working in their yard, both at home and at the lake. She enjoyed entertaining friends and family at their home as well as cookouts at the cottage. As a couple, Audrey and Bill spent time vacationing and traveling with friends from Steelcase where he worked for most of his career. They especially enjoyed visiting the East Coast and for their 25th wedding anniversary they took a trip to remember to the beautiful island of Hawaii. When grandchildren came along, Audrey was in her element as she adored her grandchildren and spending time with them. For those who came to know Audrey, it was truly a joy to share her company. An easy-going, sweet and social woman, her warmhearted nature was sincere and most genuine. Although she will be dearly missed, the very heart of Audrey remains at the forefront of the priceless memories she leaves behind. 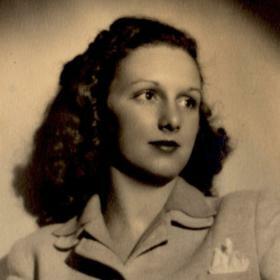 Audrey Ann Davis, age 94, of Kentwood, MI passed away on May 30, 2018. Audrey was preceded in death by her husband of 72 years, William; daughter and son-in-law, Cheryl (Ray) Mitchel, and grandson, Burton Post. Audrey is survived by her son and daughter-in-law, Rick and Lynn Davis; grandchildren; Heidi (Rick) Stanley, Heather (Eddie) Salazar; five great-grandchildren and two great great-grandchildren; nieces, nephews and many friends. 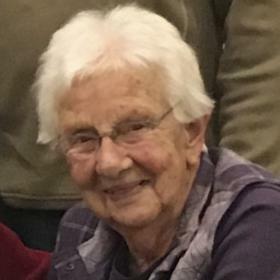 Audrey will be remembered for her love for gardening, her service to Wallin Congregational Church, and especially her devotion to her family. A funeral service will be held Monday, June 4 at 11 AM at Heritage Life Story Funeral Home – 2120 Lake Michigan Dr. NW. Burial in Greenwood Cemetery. Relatives and friends may visit family at the funeral home on Monday from 10-11 AM. Memorials may be made to Wallin Congregational Church. To read more of her life story, leave a memory or condolence please visit www.lifestorynet.com.